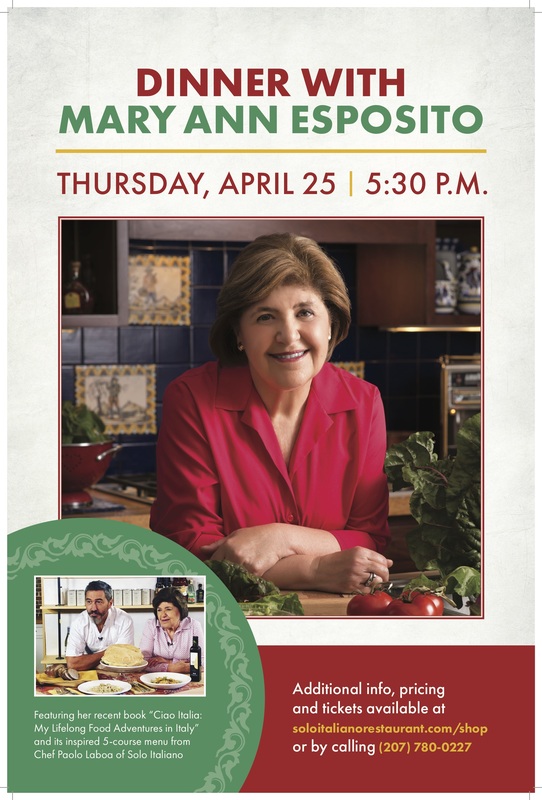 Join Mary Ann Esposito for a 5-course dinner at Solo Italiano Restuarant in Portland, Maine on April 25th! 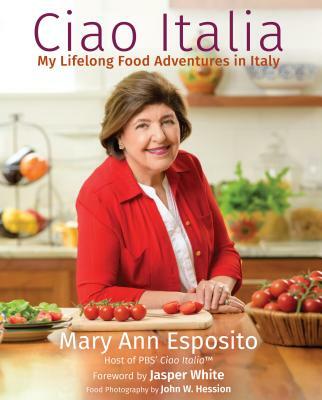 Join us as we welcome Mary Ann Esposito of PBS' Ciao Italia and celebrate the release of her recent cookbook Ciao Italia: My Lifelong Food Adventures in Italy. This will be a ticketed affair with limited seating. The evening will include a 5-course dinner from Chef Paolo, inspired from Mary Ann and the regions of Tuscany and Campania. Included in the price is a signed copy of her cookbook ($40 value). Wine pairing will be optional the night of the event. Cost: $115 - Purchase tickets online here.